Baxter Rogers, PhD, earned his MS and PhD. in Medical Physics from the University of Wisconsin-Madison and completed a Postdoctoral fellowship at Vanderbilt University. 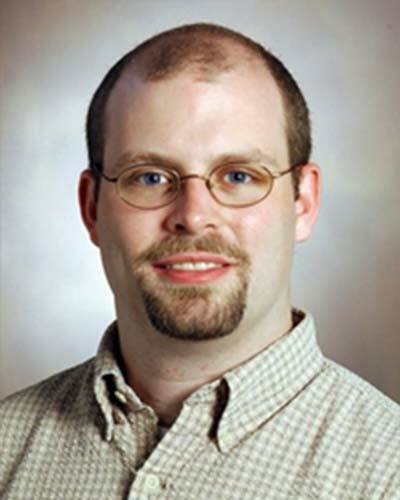 He joined the Vanderbilt faculty in 2006 and was appointed Research Associate Professor in 2012. Dr. Rogers is an author of more than 60 published articles. Dr. Rogers studies the structure and function of the brain. He is particularly interested in methods of measuring the timing of functional MRI signals and the correlations between them, and in applications of these methods to the study of neurological and mental disorders. He is currently involved in a series of studies of hippocampal structure and function in epilepsy and psychosis, using ultra high field MRI with new methods of measuring functional connectivity and statistical approaches appropriate for the large data sets involved. Recent methodological work includes understanding dynamic variation in functional connectivity over short time scales (minute to minute).